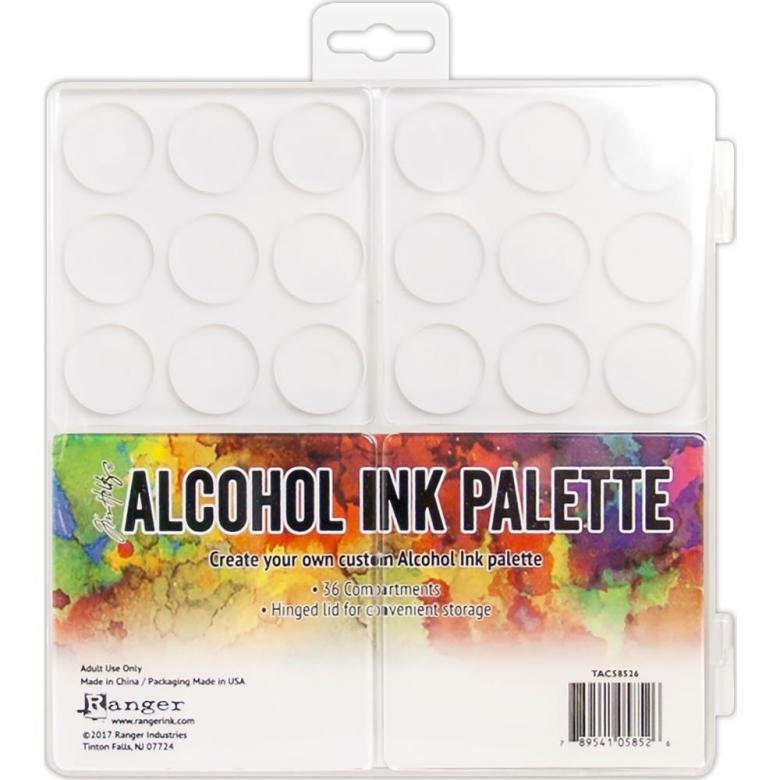 The Tim Holtz® Alcohol Ink Palette features 36 individual compartments that can be customized with your favorite Alcohol Ink colors. The hinged lid allows for convenient storage. 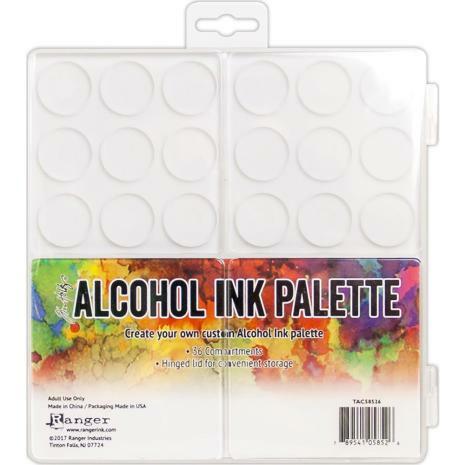 Great for customizing your own Alcohol Ink Palette or use with other Tim Holtz and Ranger mediums. paired with the Water Brush, the Ink Palette is ideal to mix water-based ink for watercolor painting.